Rat Weaners are twenty-one to twenty-five days of age. These rats are eating and drinking on their own, and are apporximately 3.5″ – 4.5″ long, not including the tail and weigh 30.00 – 44.99 grams. 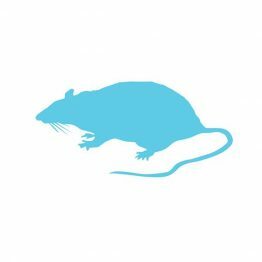 For optimal health your pet needs variety and high quality nutrition in their diet which can be provided by feeding them Rats. Birds of prey, meat eating reptiles and more can benefit from the nutrition provided by our high quality Rats. Experts recommend using frozen rats for pets, as it eliminates the risk of harm from live feeding. Freezing also kills any parasites present in live animals that may be harmful to your pet.